Whoever thought that ‘stay at home’ mums or dads had it easy was surely mistaken. 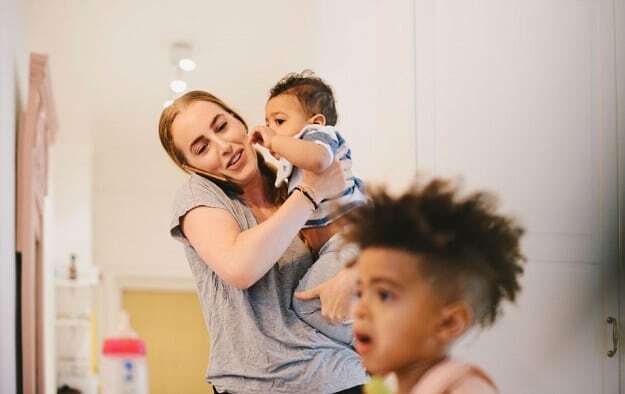 A recent nationwide survey that was carried out revealed that many mothers who chose to stay at home to raise their children felt that it was much tougher than having a full-time job. In contrast to having a job that you can escape from at the end of the day, parents who chose to stay at home had no way out. New parents especially found it even tougher to handle staying at home and largely depended on their own mothers for support. Almost half the mothers that were surveyed admitted that they would not have been able to handle a baby without the advice of their own mother. A very small number thought that parenting was easy. 31 percent of the parents in the study said that it was tougher to be a stay at home parent than going to work. 55 percent of the parents were of the opinion that having a baby was no easy task and another 20 percent believed that having a baby was extremely difficult. The parents that were surveyed were not without support. The survey that was conducted by AVEENO Baby also revealed that 41 percent of the parents felt that baby wipes formed a very integral part of raising a baby and should not be underestimated. Less than half the parents in the survey believed that having a baby was the perfect experience. The study also revealed that despite all the help that is available on the internet and in books, most parents still relied on their own mothers for advice. 45 percent of the parents admitted that their mother’s advice was quite indispensable and they would not have managed without it. A majority of the parents that were a part of the survey felt that social media had a negative impact on parents as it put unnecessary on a parent to be perfect. New parents felt that they were under constant pressure to live up to the parenting standards that many on social media set. Besides the pressures of understanding how to raise a child, the main concerns for new parents were sleeping patterns, development and feeding habits of their baby. One of the major concerns for all parents is whether they are doing the right thing. Everything about raising their child is carefully researched these days for fear of not being a good enough parent. Even though many in the survey felt that being a parent was far tougher than a full-time job they still agreed that it was an enriching experience with 42 percent of the participants stating that the unconditional love that they received, made the sleepless nights worth it.